smoked salmon omelet. best breakfast I've ever had. is Breakfast! I love breakfast. It’s the best meal of the day. Breakfast burritos. Omelets. Waffles. Bagels. Hash browns. Bacon. Croissants. Bobcats. Need I say more? Like many of you out there, I don’t like waking up early. In fact, I’ve carefully calculated the precise time I must wake up to get ready for work, make breakfast, drive the 4.7 miles to the office, walk down the 6 flights of stairs in the parking garage, greet the security guard, ride the elevator up to the 10th floor, and clock in at exactly 8:30am. And as I go through e-mails at my cubicle, I eat breakfast. We’re usually rushing in the morning. Often times, we’re victims of the charming and not-so-innocent snooze button. With the blink of an eye, a five-minute-snooze has become a twenty-minute nap and we’re 30 minutes behind schedule. Despite the hustle and bustle of the morning, it’s important to make time for breakfast. You need breakfast to jump start your day. After your recommended 8-hour beauty sleep, your brain needs a fresh supply of glucose to help you focus on the tasks ahead. Breakfast has essential nutrients, such as folate, iron, B vitamin, and fiber, that help you function. Breakfast is good for your heart unless you eat 10 pounds of bacon (please don’t). Eating breakfast helps prevent diabetes and lowers blood pressure. Eating breakfast may help prevent metabolic syndrome disorders like obesity and insulin resistance. “Researchers found that the time of fat intake matters; when eating fat early, metabolism worked efficiently and affected the animals’ response to different types of food later in the day” (thedailymeal.com). If you eat breakfast daily, then you’re less likely to develop eating disorders. Wait, what? Often times, people skip breakfast to lose weight. One less meal means less calories, right? Wrong (See #8). Eating breakfast can boost your immune system.Take that! Mucus-making-monsters! 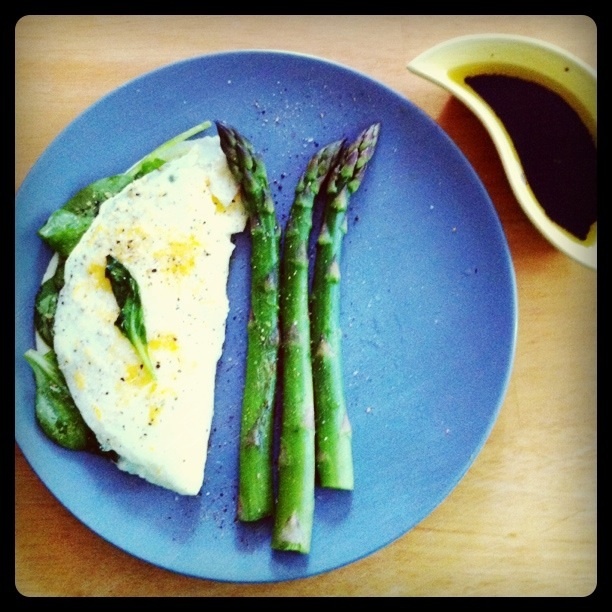 spinach-feta cheese omelet and asparagus. fancy postgrad breakfast. An egg a day can keep the pimples away. How? Eggs have lutein, a carotenoid antioxidant, which preserves the skin’s elasticity and protects skin cells from free radical damage. The best part about eggs is their versatility: sunny side up, over easy, over medium, scrambled, boiled, not to mention, omelets and eggs-benedict! Have you ever skipped breakfast and found yourself starving by noon? Luckily, your sweet supervisor brought donuts for the office. Your co-workers, on the other hand, aren’t so lucky. You just ate 4 donuts. Oops. Breakfast helps to prevent overeating and attempts to satisfy desperate hunger with quick and easy fixes. “Prolonged fasting can [also] increase your body’s insulin response, which increases fat storage and weight gain”(thedailymeal.com). Eating breakfast can help you get bikini-ready! Woo Spring Break! Breakfast gives you a boost of energy. Yay for productivity! 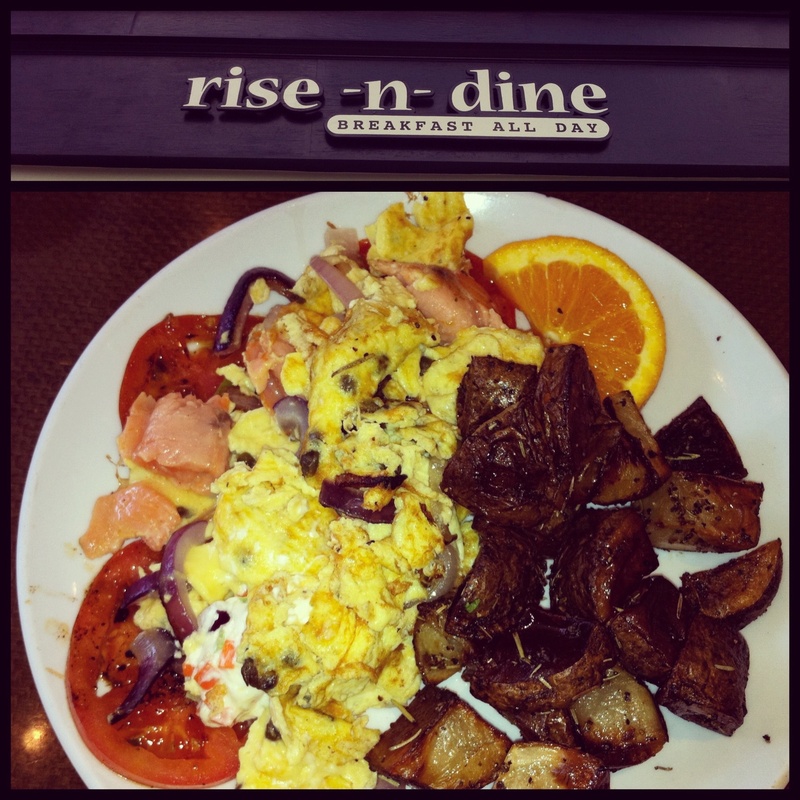 “Breakfast replenishes your glycogen stores, which supply muscles with immediate energy” (the dailymeal.com). Breakfast can help you live longer. Say what? Studies show that century-old folks are regular breakfast eaters. Breakfast regs are also less likely to develop fatal habits like smoking and excessive drinking. So, break the fast and eat breakfast! You’ll be surprised at how little time it takes to make breakfast. And here are some morning melodies to get your day started! Rise & Shine! I love eggs too! Unfortunately I’m usually rushing out the door with whatever I can grab.Think I’ll have some eggs for lunch though. i like breakfast as urs blogs. very nice informative blog u shared here, keep it up!